Six music channels have been dropped from TalkTalk's YouView based service this week in what the company called a "review" of its channels. 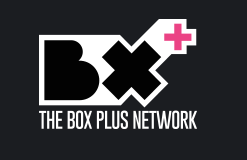 Heat TV, Kiss, The Box, Kerrang, Smash Hits and Magic - music channels operated by The Box Plus Network, a joint venture between Bauer Media and Channel 4, have been withdrawn. They were previously available on channels 530-535. In a brief statement, TalkTalk said: "We're always reviewing our entertainment channels to focus on the most popular ones, so from the 30th July 2015 the music channels ... will no longer be available." TalkTalk YouView viewers missing the channels can stream the affected services via the Box+ mobile app or via TVPlayer.com.